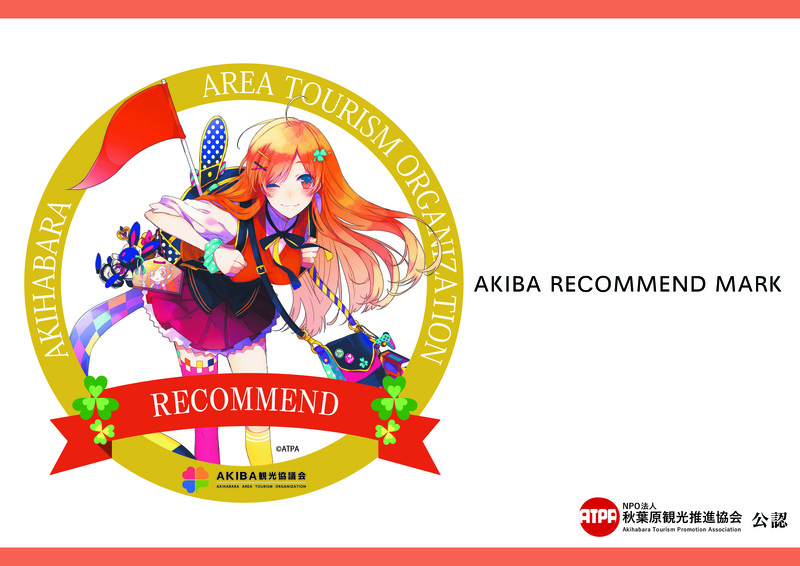 With the purpose of introducing shops/services that can represent Akihabara to tourists from home and abroad, WE, Akihabara Area Tourism Organization has started a certified shops/services system by awarding AKIBA RECOMMEND MARK. We always hear the following voices from the visitors to Akihabara. Facing these problems, we are dedicated to creating and generalizing a new standard for best selection of destination in Akihabara so as to offer tourists new discoveries during their journey. 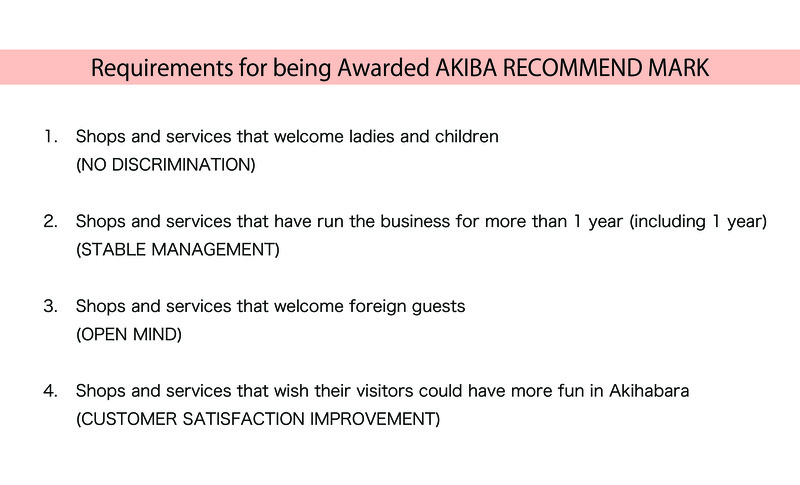 Shops/services that meet the requirements above will be awarded AKIBA RECOMMEND MARK. 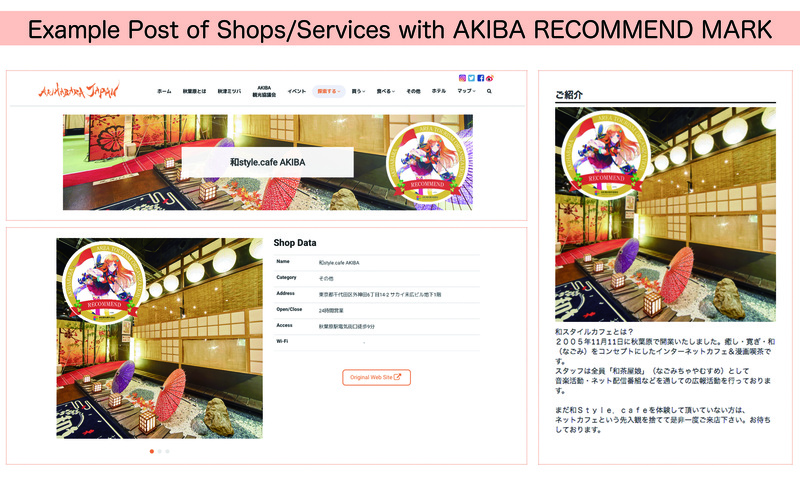 Firstly, a certified shop/service will be shown as above with a AKIBA RECOMMEND MARK on its page of AKIHABARA JAPAN and Kokosil Akihabara respectively. And then, we will distribute the corresponding sticker to the shop/service for attaching on its signboard or other conspicuous positions from May 23(Wed.). Have More Fun in Akihabara!